Nvidia faces manufacturing problems which could mean a shortage of its new Fermi chips later this spring. 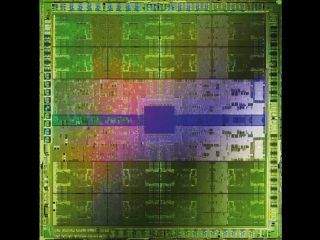 The graphics chip specialist admitted that it was facing potential parts shortages earlier this week. The chips are manufactured by Taiwan Semiconductor Manufacturing Co. (TSMC) via a 40-nanometer manufacturing process, which makes the chips smaller, faster and cheaper than those produced via the older 55-nm process. Jen-Hsun Huang, Chief Executive of Nvidia, speaking at an analyst meeting at the company's Californian HQ said: "From a supply perspective, we wish we had more 40-nm capacity. "We are working with TSMC really closely. They are doing a fab job. Yields are improving. Capacities are improving. But we are finding it hard to keep up. Everyone is clamoring to have Fermis out the door. We are working really hard to get Fermis out the door." Gross profit margins on 55-nm chips are about 30 per cent, while those on 40-nm chips are around 40 per cent.